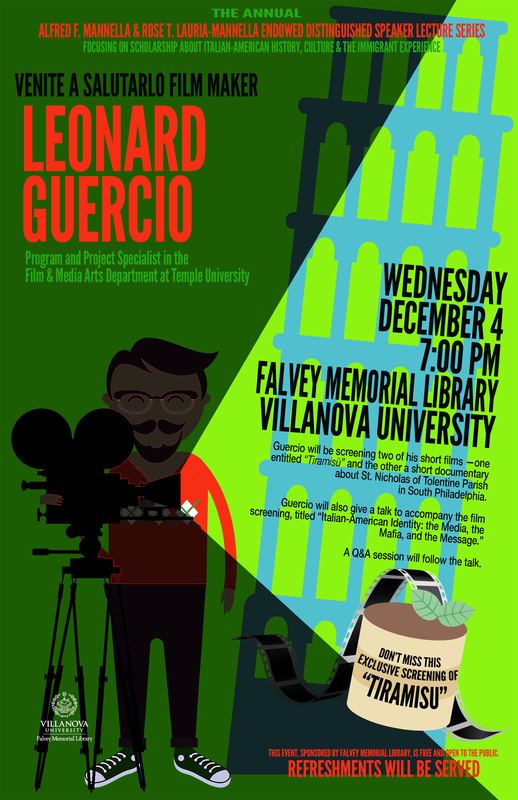 On Wednesday, Dec. 4 at 7:00 p.m. filmmaker Leonard Guercio will deliver this year’s Alfred F. Mannella and Rose T. Lauria-Mannella Endowed Distinguished Speaker Series lecture. 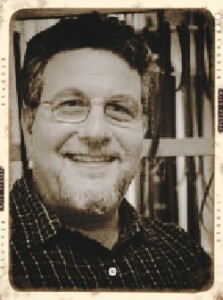 Guercio has worked as a writer, producer, director and editor in various media—including film, experimental video, television, print, web and music. He currently serves as program and project specialist in the Film and Media Arts department of Temple University’s Center for the Arts. In addition to the lecture, Guercio will be screening two of his short films. The first is a brief documentary about St. Nicholas of Tolentine Parish in South Philadelphia, and the second is an original dramatic short film entitled “Tiramisù” If time permits, a Q&A session with Guercio will follow the talk. The Mannella Lecture Series began in 1996 and is made possible by the generosity of Villanova University alumnus Alfred S. Mannella, who named the series after his parents. The events in the annual series focus on scholarship and artistic achievement surrounding Italian American history, culture and the immigrant experience. Guercio shot “Tiramisù” in South Philadelphia almost ten years ago. Privately funded and independently produced, the film has since maintained a long and illustrious screen life that exceeds its humble beginnings. In 2007, Guercio presented the film at the Pesaro International Film Festival in Pesaro, Italy. “Tiramisù” opened a retrospective of New Italian-American Cinema, which included feature films by prominent actors and filmmakers, such as John Turturro, Steve Buscemi and Nancy Savoca. Since then the film has screened in classrooms all over the world, including Beijing and New York. Shot in an intimate black and white, “Tiramisu” tells a story of love and responsibility through the lives of an Italian-American family and their friends in the community. Remarking on the film’s title, Guercio explains that the Italian word “Tiramisù” translates to English as “lift me up,” a reference to the restorative power of the classic dessert, which is traditionally made with espresso. Guercio’s film, too, enacts a kind of restoration and reframes the Italian-American experience by challenging viewer expectations that may have been shaped by stereotype. This year’s Mannella Lecture will be held in the Speakers’ Corner of Falvey Memorial Library. The event is free and open to the public and available for ACS credit. Light refreshments will be served.